Reed Travel Exhibitions (RTE) and Melbourne Convention + Visitors Bureau (MCVB) has announced that AIME 2010 will be held in April, not February, due to Chinese New Year and availability at the Melbourne Convention and Exhibition Centre. Paul Kennedy, MBE, Group Exhibition Director, Reed Travel Exhibitions Meetings and Incentive Events said, “While AIME has traditionally been held annually in February we have had to consider carefully the affect Chinese New Year – which falls on 14 February in 2010 – would have on AIME. This is a time when many of our exhibitors and hosted buyers take extended leave to celebrate with their families. In addition, airline schedules in the region are stretched to capacity. “Having looked at all the options, which included moving AIME to late January or March, and considering other global meeting and incentive events that exhibitors and buyers may attend, the most suitable time for AIME 2010 is late April,” Kennedy said. AIME 2010 will be held on Tuesday and Wednesday, 27 & 28 April. Sandra Chipchase, CEO, MCVB, said she believed the new dates for AIME 2010 would be well received by the business events industry in the region. 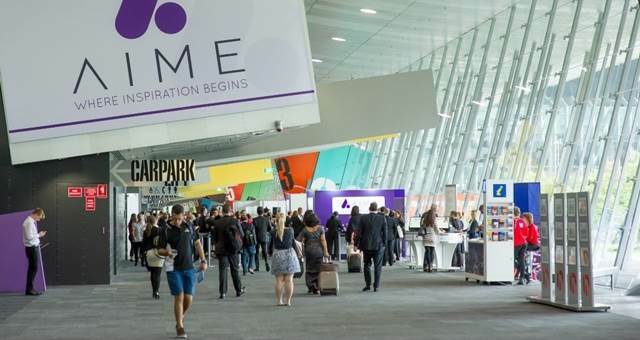 “AIME is a valued event delivering an enormous amount of business to the region and it is important that it is held at a time that is appropriate for all our exhibitors, Hosted Buyers and trade visitors,” she said. “April is also a beautiful time for hosted buyers and visitors to visit Melbourne. They can experience our lovely clear autumn days and a number of the city’s activities such as the Melbourne International Comedy Festival,” she said.